1.0 The policy establishes responsibility for the possession, transfer, import, use, storage and disposal of radioactive materials by Laurier faculty, staff, students and visitors in order to reduce potential exposure and be in compliance with the Canadian Nuclear Safety Commission (CNSC) acts, regulations and guidance documents. Recognizing potential hazards involved in the use of radioactive materials, the policy and the Radiation Safety Program are implemented to keep exposures as low as reasonably achievable. All exposures shall be limited in accordance with the ALARA principle and to within the CNSC prescribed dose limits as specified in the legislation. A solid, liquid or a gas, which emits radiation. The RSO is appointed by the university to oversee the safe possession, transport, import, use, storage and disposal of radioactive materials in compliance with the CNSC acts, regulations and guidance documents. The RSO acts as a liaison between Laurier and the CNSC in regulatory matters. A committee which includes members with expertise in the radiation safety field who as tasked with assisting the RSO with risk assessment, permit reviews and approvals, disputes about radiation safety matters or other radiation safety or security concerns. 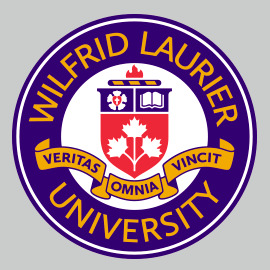 3.0 The policy applies to all staff, faculty, students and visitors using radioactive materials at Wilfrid Laurier University. All records and reports, including detailed inventory of radioactive materials, must be available for inspection by the CNSC at the site where the radioisotope materials are used. Records must be retained for time periods as specified by the CNSC, and no records shall be disposed of without prior notification to the CNSC. Use of radioactive materials on campus must be approved by the RSC through the application for an internal permit. Internal Radioisotope Permits are issued to the applicant who is responsible for compliance with CNSC acts and regulations as well as Laurier’s internal policies and procedures. Where the permit conditions are violated and/or in non-compliance, the RSC will recommend suspension, cancellation or disciplinary action for the Permit Holder. Disposal of all radioactive wastes must be in accordance with regulations under the Nuclear Safety & Control Act and as stated on Laurier’s Nuclear Substance and Radiation Device License. Waste must be handled and disposed of in a way that prevents unreasonable risk to the public or the environment. Laurier assumes responsibility of ensuring to the CNSC that any use of radioactive materials will be used in strict compliance with the Nuclear Safety and Control Act and Regulations and the conditions of the university’s license. To aid in determining the level of risk or immediate danger to health and safety, all compliance violations will be categorized as major or minor violations. All deficiencies must be corrected and reported to the RSC.